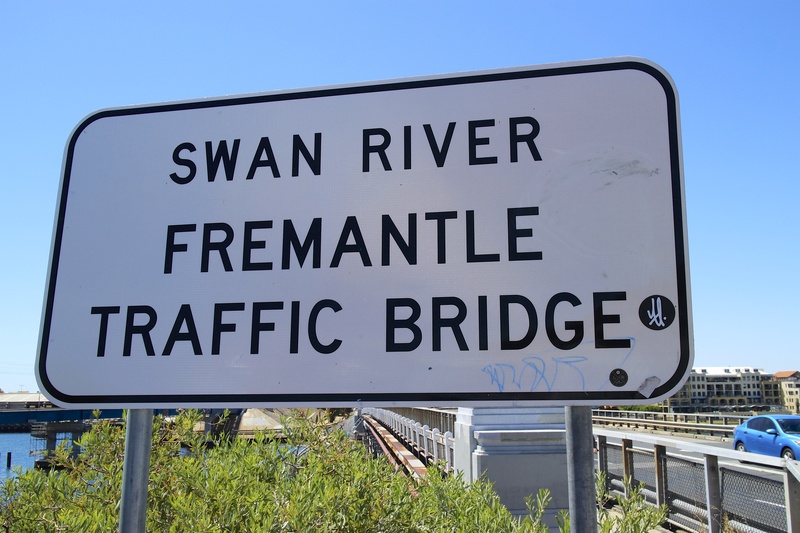 This is the sign for the bridge that I cross between North Freo and Freo every day while driving to work. The crystal clear Swan River that heads right into the Indian Ocean down the way. Always a strong breeze when crossing this one…hold onto your hats! This entry was posted in North Fremantle and tagged Bridge Realness, Fremantle, North Fremantle, Swan River. Bookmark the permalink.